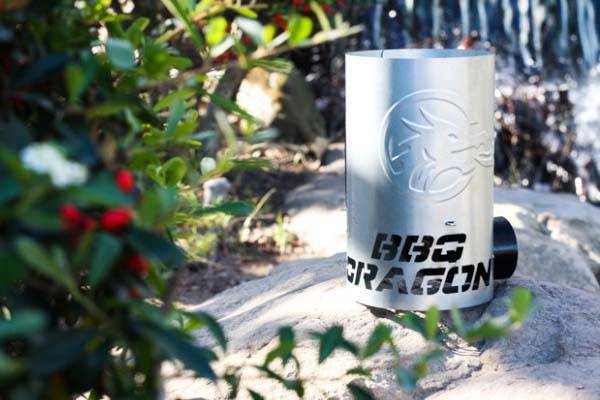 BBQ Dragon’s Charcoal Chimney of Insanity is designed to offer a more effective way to light your charcoal for cooking. Like the idea? Let’s keep checking. The Chimney of Insanity is a well-designed and practical charcoal chimney. As we can see from the images, the charcoal chimney shows off a sleek, portable and cylindrical appearance that allows you to easily take it for outdoor barbecues or camping trips. Meanwhile, it’s made out of galvanized steel for an ultra durable construction, and its integrated heat resistant nylon handle provides a handy and safe grip. The charcoal chimney features a 90 degree elbow. Using its side hole, you can easily insert fuel or lighter material without needing to lift the chimney. 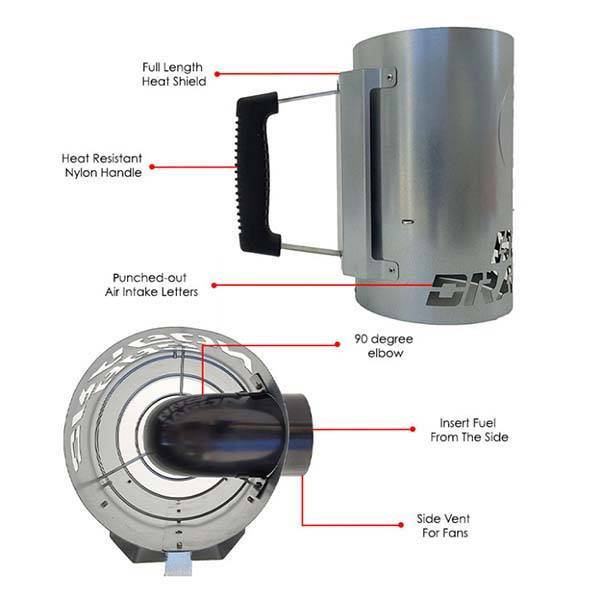 Furthermore, the side hole also allows you to aim a fan or even just blow into the side, which dramatically increases oxygen flow, improve ignition and get your charcoal ready in minutes. Moreover, the charcoal chimney also doubles as a high-temperature, forced-air cooking stove that’s able to grill steaks at temperatures of 1500 to 2000 degrees with just a small amount of charcoal. By adjusting the speed of your fan mounted on the side hole, you can also control the level of the grilling. In addition, full-length heat shield prevents charcoals from dropping to the bottom. The Chimney of Insanity has been available for preorder on Indiegogo. You can pledge $15 to own the charcoal chimney. It will be shipped during holiday season. Update: the charcoal chimney has been available on Amazon for $29.99 USD. Additionally, you may also like to check the portable woodburning camping stove and more cool stuff by following tags.